As a cancer survivor who has been through multiple surgeries, Nicole knows what it means to be an active participant in her own care. But she never could have predicted she would be a 10-year cancer survivor and health care veteran by age 40. Looking back, she remembers how strange it felt to be diagnosed. A year and a half earlier, Nicole had given birth to a baby boy and was at her six-week postnatal checkup when her doctor found a lump in her vaginal wall. It wasn’t painful and didn’t look like cancer in an ultrasound, so Nicole’s doctor recommended watching it. When the lump started to become painful, she had it removed. The biopsy revealed it was a rare form of uterine cancer called endometrial stromal sarcoma. Nicole and her husband, Eric, met with Mark Dodson, MD, a surgeon in the Gynecology Cancers Program at Huntsman Cancer Institute (HCI). Dodson told Nicole and Eric the cancer was low-grade, which meant it was much less aggressive. But it was stage III, meaning it had spread outside her uterus. She had a total hysterectomy seven weeks later. Nicole quickly learned to speak up for herself when she felt unwell weeks after the surgery. She was told not to worry—she was still recovering. But she insisted that something was wrong. After some tests, the doctors learned Nicole’s ureter (the tube that carries urine from the kidneys to the bladder) had been damaged. It took seven surgeries to repair. Because the lump had been removed from her vaginal wall, Nicole needed several vaginal reconstruction procedures in the following years. While coping with such a rare cancer and the effects of so many surgeries, she wanted to meet other women with endometrial stromal sarcoma. The two women she has found live in other states. They talk by phone but haven’t met in person. “This cancer is so rare and not many people know about it. That’s why I feel the need to share my experience,” she says. Nicole’s cancer journey inspired her to go back to school and pursue a career in helping other patients. 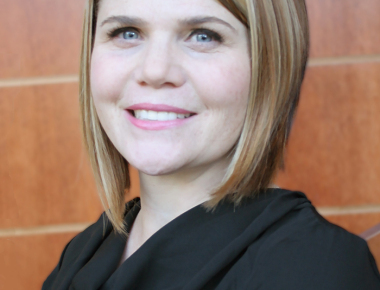 In 2014 she earned a bachelor’s degree in Health Promotion and Education from the University of Utah, and she is working toward a master’s in the same program. Her dream job? A patient advocate, of course.